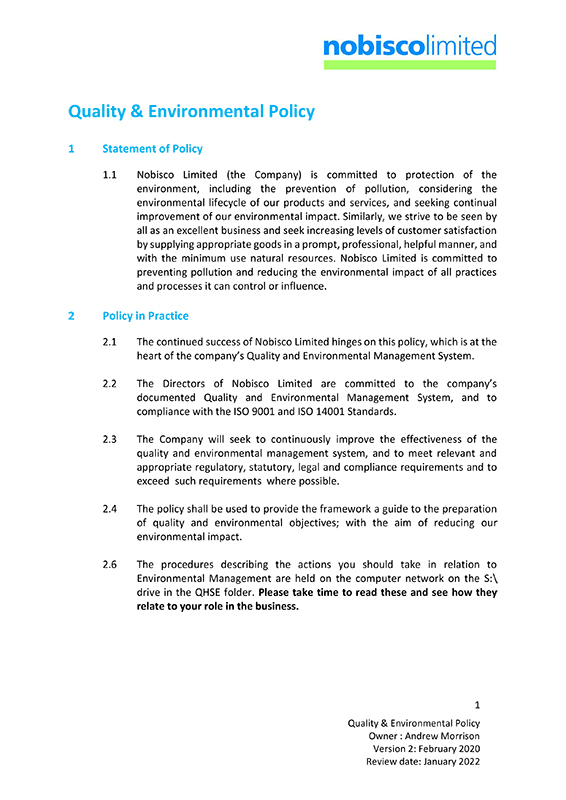 Nobisco Ltd holds ISO 9001 2015 (Certificate No. FS54193). We have found this to be an invaluable tool in ensuring the continual improvement of all aspects of our company, from the quality of our incoming products to the training of our sales team. At Nobisco we continue to drive our customer focused standards ever higher and we believe that the exceptional level of customer retention we enjoy is a testament to the success we are achieving. 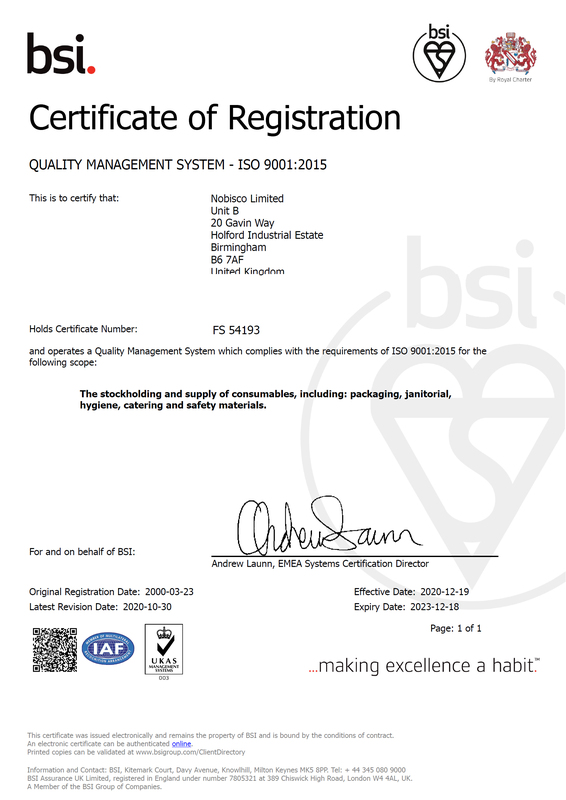 Copies of our ISO quality certificate can be downloaded from the link below.